The game is not on TV, so the only place to catch all the action is at the Gardens! STHs - please remember to bring your Season Ticket cards! 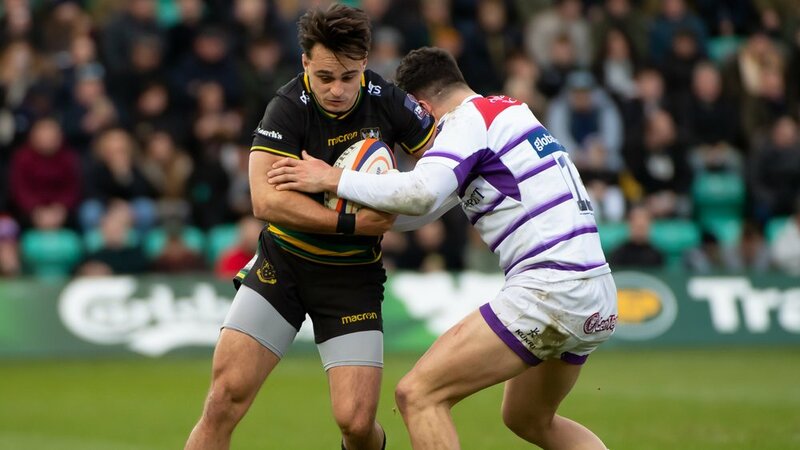 After frustratingly losing out to Newcastle Falcons last weekend, Saints head back into the European Challenge Cup this Saturday as they look to secure a quarter-final place in the competition. 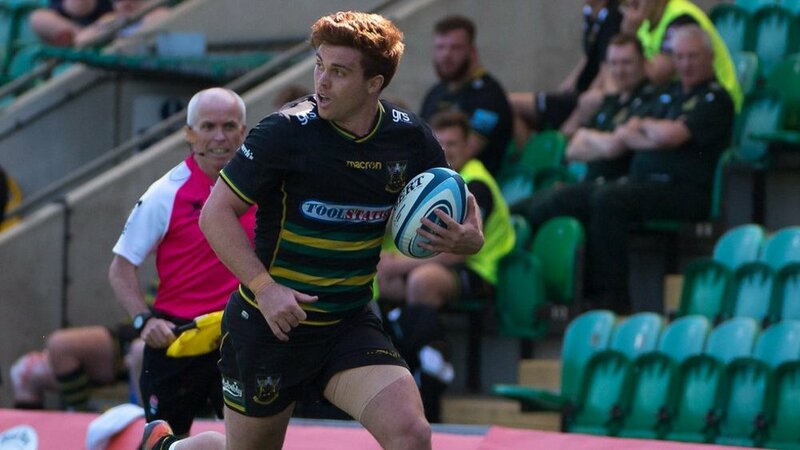 And after an impressive win over Dragons in the tournament's opening round, Saints will be looking to replicate that at Franklin's Gardens this weekend as the pool rounds reaches the halfway stage. With the weather set to be dry but cool, Franklin's Gardens should boast the perfect conditions for rugby this Saturday. With the main store open from 9am and the Supporter Village Store opening from 1pm, you've got plenty of time to grab some new gear before the game kicks off. And with new coats, scarves, hats and gloves available in store, it's easy to stay warm in the stands as winter approaches this weekend! Both home and away jerseys, as well as the 2018/19 range of training wear, are also available from the Saints Store. And don't forget, Saints Shirt Amnesty is still running! Trade in your old rugby shirt and receive 25% off an 18/19 Away Shirt while supporting SOS Kit Aid's fantastic cause. For more information on the Amnesty, SOS Kit Aid and how you can get involved, CLICK HERE. Please remember to bring your Season Ticket cards with you on Saturday! If you don't have your card at the turnstiles, we will be forced to charge you £5 to reprint your ticket for the game. Northampton Saints’ newly-formed mixed ability rugby programme will be opening its doors to supporters, hosting a free open training session ahead of Saints’ clash with Dragons this Saturday. With Saints’ community coaches and representatives from Heathens set to host an open training session on Saturday 8 December, you can come along – completely free of charge – to see just how accessible mixed ability rugby can be. The session will be inclusive for able-bodied participants with both learning and physical disabilities, and will run from 11.30am and 12.30pm on the training pitches at Franklin’s Gardens. Mixed Ability rugby sessions are fully inclusive, with all players training and playing together; the programme is not just about providing opportunities for people with disabilities to play rugby but to also embody them within an existing rugby club – Northampton Heathens. And with a mixed ability rugby fixture between Northampton Heathens Hellhounds and Bradford Bumbles following the training session (kick-off 1pm), you’ll get a real taste of the new programme and see how you could get involved at Saints. Everyone is welcome to watch the fixture, whether you've taken part in the training session or not. For more information on Mixed Ability Rugby and to sign up to the taster session, CLICK HERE. Car Parks A, B, C and D will all be open as usual to season pass holders. Day passes for Car Park D will be available on the gate for £5. Car Parks open at 12.30pm. Please also be aware that there will be no movement in VIP Car Park from ten minutes before the full-time whistle for 25 minutes. As usual, traffic management will be in place in Car Park D, Claret Car Park and on Edgar Mobbs Way. After the Car Parks close at 9pm on Saturday night, there will be no access to any vehicle left in the Car Parks over the weekend. If you are in hospitality and parking in the VIP Car Park please use NN5 5BG for satellite navigation devices. If you are in hospitality and parking in Car Parks A, B & C, please use NN5 5AX. For general supporter parking in Car Park D, please use NN5 5JT. Saturday's Club of the Match is Northampton Mens Own RFC, who will be completing the Guard of Honour on the pitch before the game. And don't forget to join us in the Village before the game when we'll be chatting to a member of Mens Own about their experience as Club of the Match! Read more about the side and how you can get involved in this weekend's match day programme, available around the ground for just £3.50. 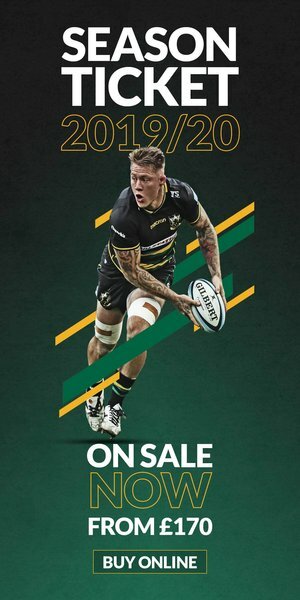 Northampton Saints Foundation will be bucket shaking at Franklin's Gardens this weekend as well as hosting their usual tent in the Village before the game. And, as normal, there will be eight EcoCup bins around the stadium where supporters can leave their used cups to donate the £1 deposit to the Foundation. Old EcoCups will be accepted at these bins and the normal Cup Return Points. With the usual Supporter Village Store, face painting and passing challenge out in the Village, we will also be joined by Club partners Kubota, Spirit Hyundai, Toolstation and AutoWindscreens in the Supporter Village before the game. Kubota will be giving supporters the opportunity to get a closer look at one fo their famous tractors, while Spirit Hyundai are bringing three of their cars for you to have a look at. And AutoWindscreens will be hosting their Rodeo Rugby Ball so make sure you go along to see how well you can do! And Toolstation will also be in the Village, so be sure to visit their tent to see what giveaways they've got on offer! With this weekend's game being the last fixture at Franklin's Gardens before Christmas, we'll be joined by Moulton 77 Brass Band who will be performing by Main Reception and in the Village before the game. 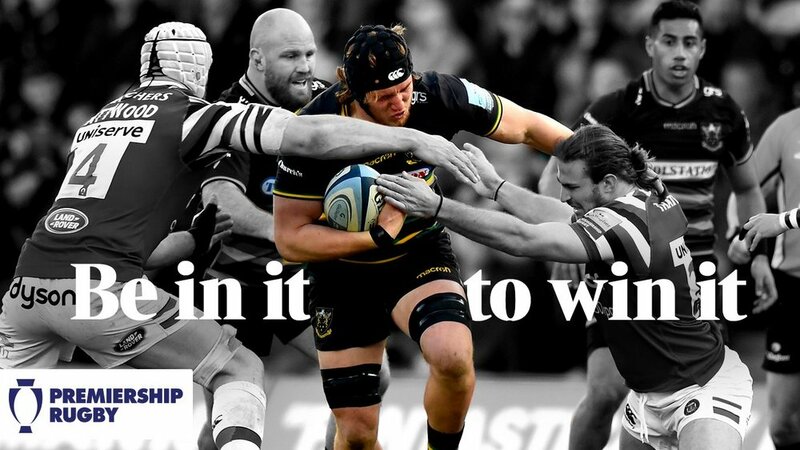 As well as the normal Face in the Crowd, we'll be joined by Saints' Inclusion Officer Jamie Higgins who'll be talking to us about all things Mixed Ability Rugby. And then we'll be treated to some more music by Moulton 77 Brass Band while we wait for the action to restart. And don't run off after the game, we'll be joined from a member of the matchday squad in the Rodber Bar to hear how the fixture went! Saints will be continuing the 75% cashless system used at all home games so far this season, with four tills in the Rodber Bar and six tills in the Marquee Bar accepting card payments only, to reduce queues and further improve Saints’ supporters matchday experience. The Members Bar will also have a number of cashless sales points for this fixture. Thanks to our partners Carlsberg, you can enjoy a special drinks offer of 4 Pints for £15 on Carlsberg and Tetley's throughout the season. The brand-new Ticket Office will be open in the Supporter Village at Saturday's game. Situated next to the Village Saints Store, you can head there to book your place at Saints' upcoming games without having to leave the stadium. Tickets for the game are still available from £28 adults and £12 juniors, CLICK HERE to book.